I'm not really much of a Tekken player, but I've always seen the series as Namco's Lamborghini or Ferrari line of cars. With every iteration, nothing much really changes except for the style, and every time a new one comes out the connoisseurs must have it. Tekken 6 is no different. Tekken players, like the rich people who buy new cars every year, will be clamoring to buy Tekken 6 on day one. Why? Because it's Tekken, and there's a number 6 attached to the end of it. Now, like the newest Ferrari or Lamborghini, the latest edition of Tekken will always be the slickest, fastest, and sleekest version of Tekken to date. But it's still the same Tekken that you played back in the day. Even though you'll have console specific content, forty playable characters, breakable environments, motion blur, deeper customization than the previous Tekkens, and even the new Rage Mode (attacks become stronger when your health drops below 10%!) - you're still playing the exact same Tekken as before. Not like that's a bad thing, though, right? 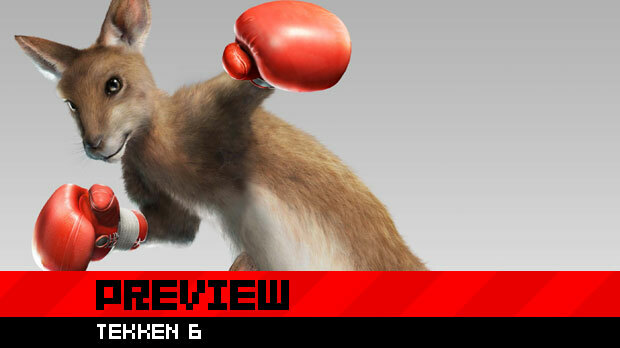 While Tekken 6 may just be more Tekken, and even though Tekken 6 is the 'slickest, fastest, and sleekest version' of Tekken to date; fans of the series already read the only two things about it that they needed to know for a purchase. It's Tekken, and there's a number 6 attached to the end of it.